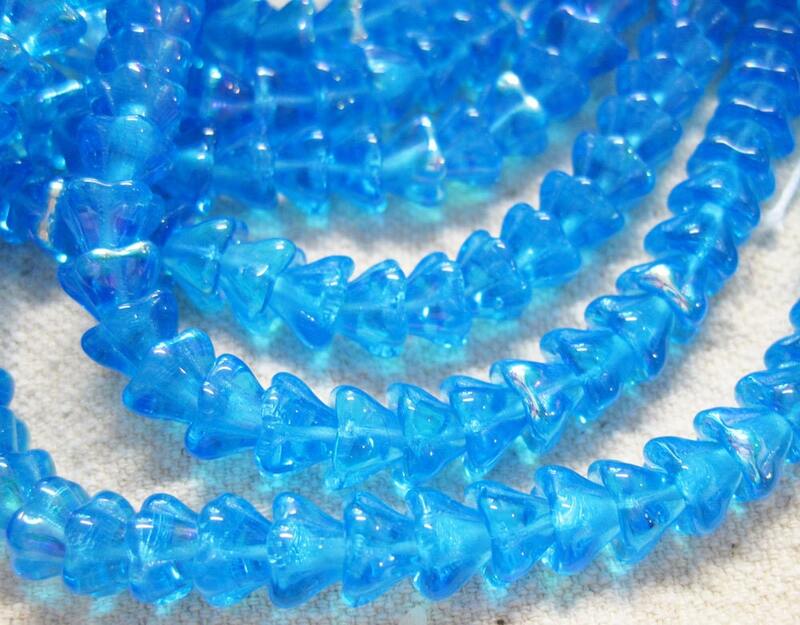 Aqua AB Czech pressed glass trumpet or bell flower beads measuring 6mm x 8mm. These flowers would make great additions to your jewelry creations! 25 beads per strand. Lovely stitched on the edges of fiber art pieces or in kumihimo braid. Many uses for these lovely flowers! These little lovelies are perfect for my flower pins. Thanks! Beautiful color! Thank you for the quick shipping!